Look in your game closet and I bet you’ll find two of my favorite tools for math practice. If you don’t have them, it might be worth your while to pick up a set of each. Not only are they completely versatile when it comes to learning games, they’re also completely versatile when it comes to family game night. 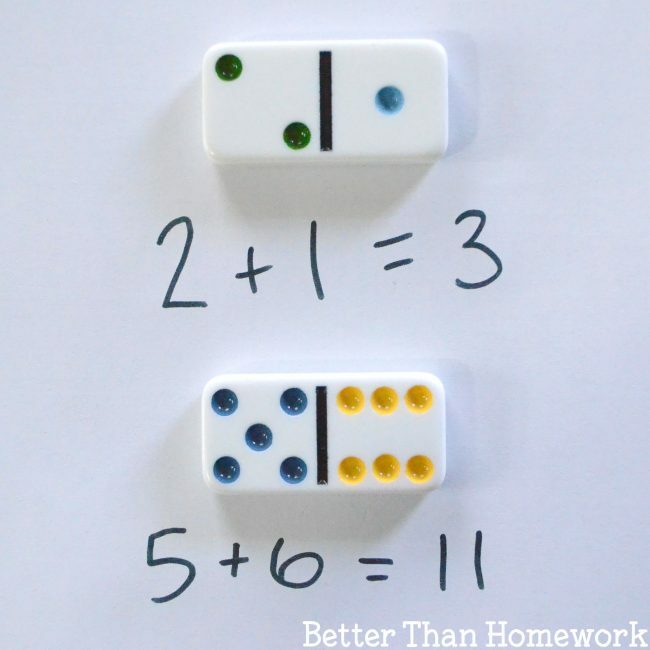 I picked up this idea for Domino Addition from my kids’ school. It’s easy and fun. My girls have always loved it, whether they were playing at school or at home. You just need some dominoes, paper, and pencil. That’s all you need to play domino addition. 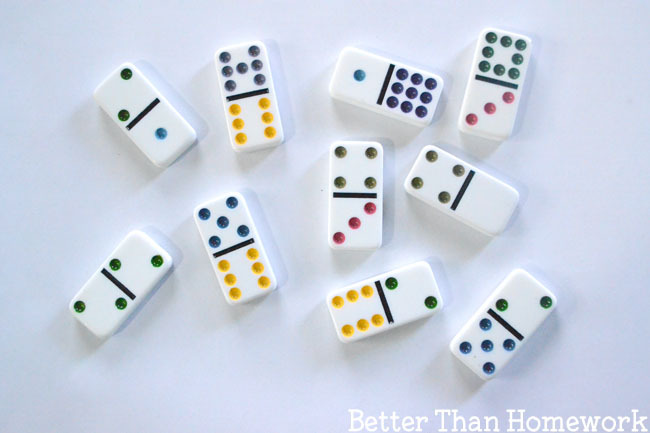 If you’ve got a large set of dominoes (such as a double 12 set), you may want to sort through and find dominoes that fit your child’s ability. If they haven’t started adding double digits, you may want to stick with single digits on each side of the domino. Pick out about 10 dominoes (or fewer). There’s no need to overwhelm your child with too many dominoes. 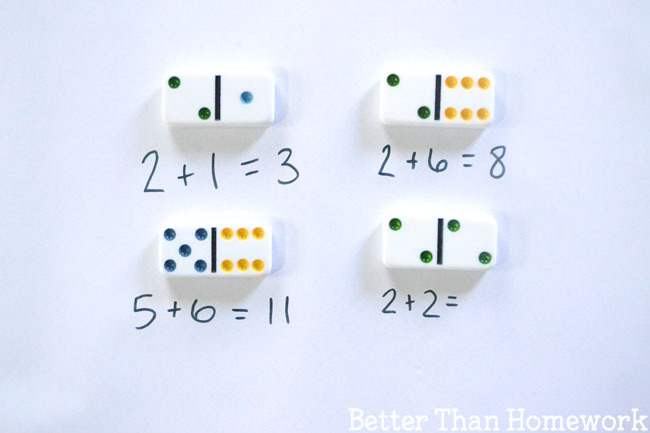 Spread out a selection of dominoes and give your child some paper and a pencil. They will need to choose one domino and add the two sides together. They can use the pencil and paper to write down all their sums. 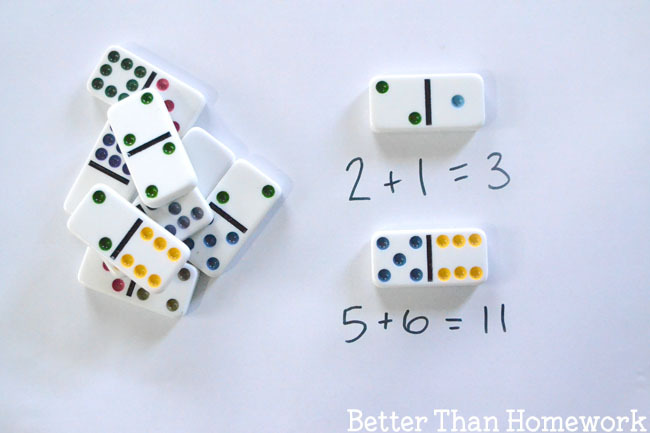 This is a great activity for kids who have just been introduced to addition. They can use the dots on the dominoes to count and get their answers. 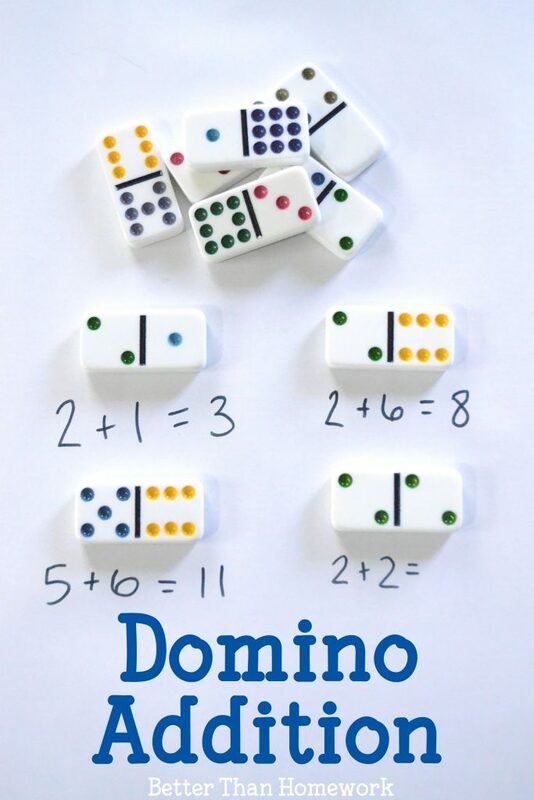 Turn the dominoes face down instead of face up so your child can’t see the problems before they draw a domino. Two or more kids can take turn drawing dominoes and working the problems. You may want more than ten dominoes in your pile if you’re working with more kids. Domino addition is so much fun. My girls were always so eager to do math as soon as I pulled out the dominoes. If you enjoyed this post, the above photo is perfect for sharing on Facebook, or you can pin the picture below.